*No tools needed for rapid assembly and disassembly! Only UL/CE certified, high-quality opaque, light weight and high stability ABS plastic frames are used for Pixlip Go. This ensures low wear and a very long lifespan for the frames. 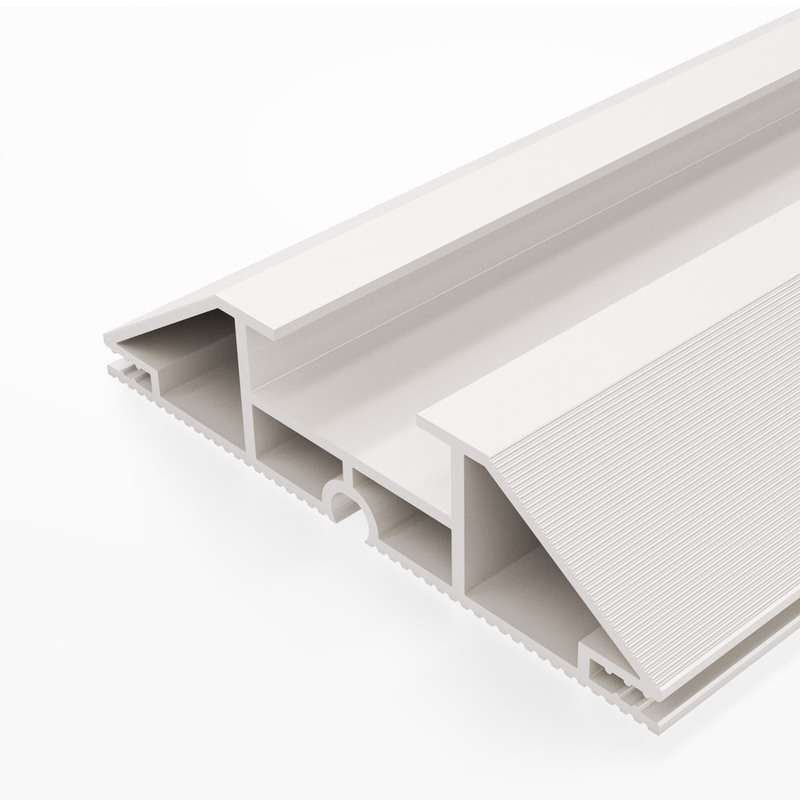 The material used also provides UV protection and class V0 plastic fire prevention, which makes it suitable for airports and exhibition halls alike. The frames are made to connect with each other without the use of tools nor prior experience. The parts perfectly fit one another and simply slides into each other as needed. Due to the intuitive and easy handling, the frames can easily be assembled or dissembled in under 2 minutes. The Pixlip Go is illuminated by powerful LED modules which allows it to impress from near or far. 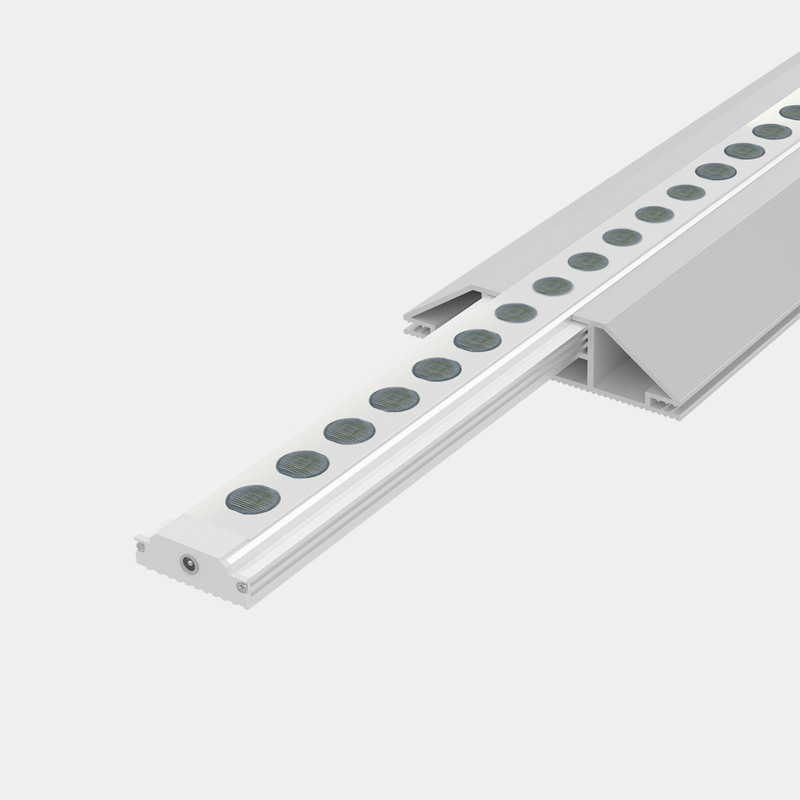 The highly-efficient LED modules are simply slid into the profiles and does not require any screws nor skill. Each module has 30 LEDs (24 V) that have a total output of 45 Watts / 3,800 lumens with color temperature of 6,500 Kelvin. The result is perfectly illuminated textiles. Power is supplied through an external network connector via a 2m cable. All construction parts are CE-certified and through their limited heat development fulfil the usual security provisions for events. What makes each Pixlip Go lightbox unique are the printed textiles. The low flammability textiles are made in accordance with DIN B1 and are printed using environmentally-friendly UV ink. Due to the twice-sewn rubber lip and the elastic in the fabric, the prints can be easily inserted in the plastic profiles, forming a crease-free surface. Even without prior experience, the front and rear sides can be fitted in minutes. Simple replacement of the fabric makes it easy to change the image and unused prints can simply be rolled up and stored until their next use. Pixlip Go is perfect for use as a temporary marketing tool. Whether it’s for use at the point of sale to highlight a promo or as an eye catcher during events, Pixlip Go will catch people’s attention. Customer stoppers, information surfaces and even smaller marketing stands can also be created from a few frames. Pixlip Go is particularly suited to be used for exhibitions and marketing events. 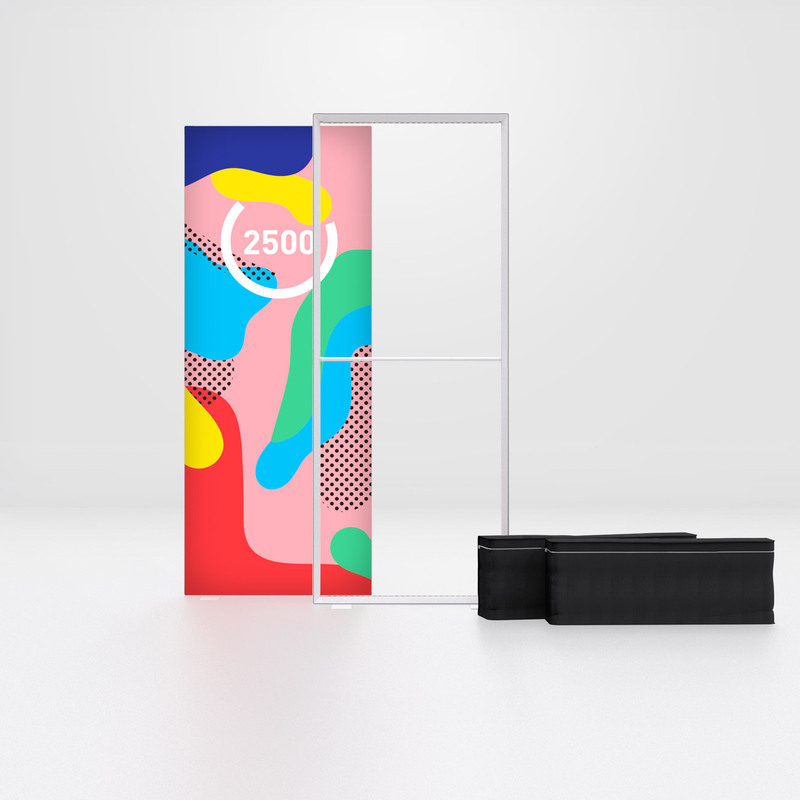 Thanks to its flexible system, you can create entire exhibits and eye catching exhibition spaces by mixing and matching different size Pixlip Go frames. Forget about investing in fixtures that are bulky and capital intensive, Pixlip Go is the way to go. Aside from using Pixlip Go for temporary and mobile displays, you can also use Pixlip Go as permanent displays such as providing signposts in reception areas or display surfaces in shop windows. The ability to change textile prints allows you to keep your displays always fresh and new with minimal hassle. 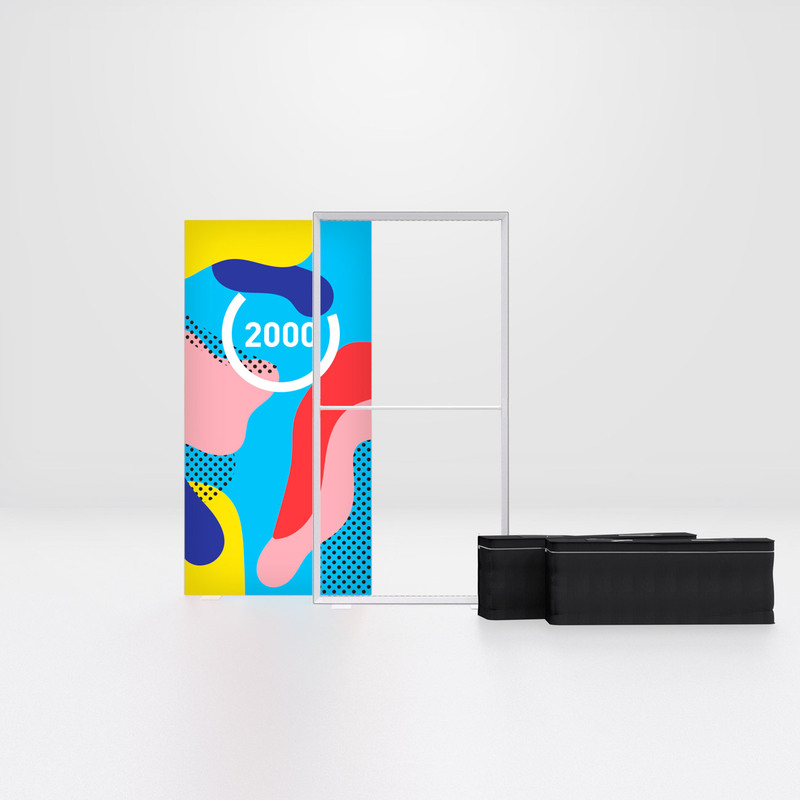 The 1m x 1m Pixlip Go counter offers the perfect working height with ample space on the 400mm deep tabletop to display marketing materials or to be used as a writing surface. The Pixlip Go 1015 is 1.5m high. It’s primarily used as a classical customer stopper, achieving the first contact at the point of sale. 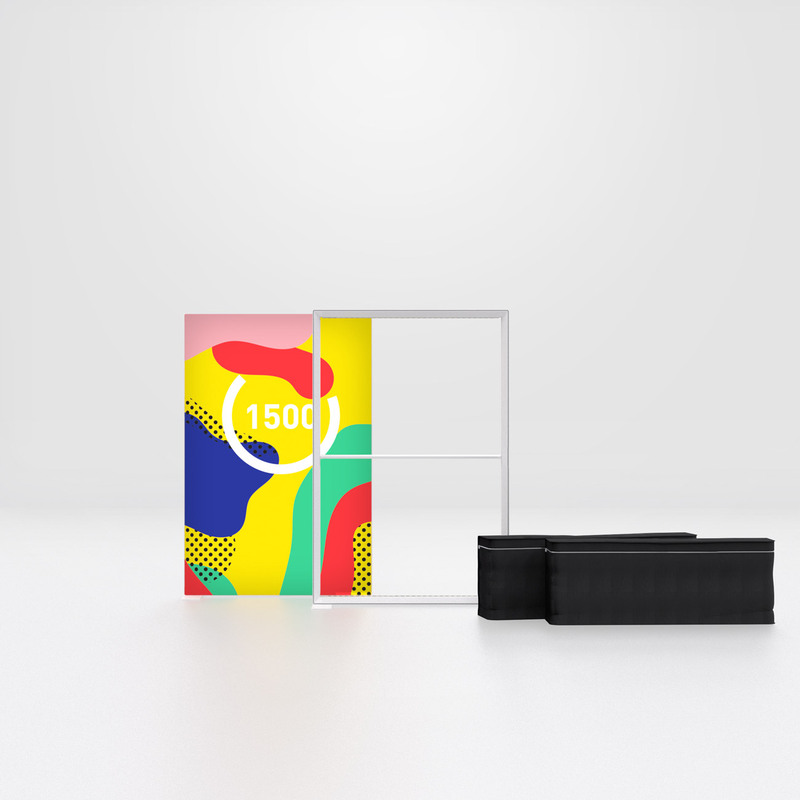 The 1015 is often used as a part of large exhibition layouts as a visual or spatial dividing element, softening the overall optical impression. 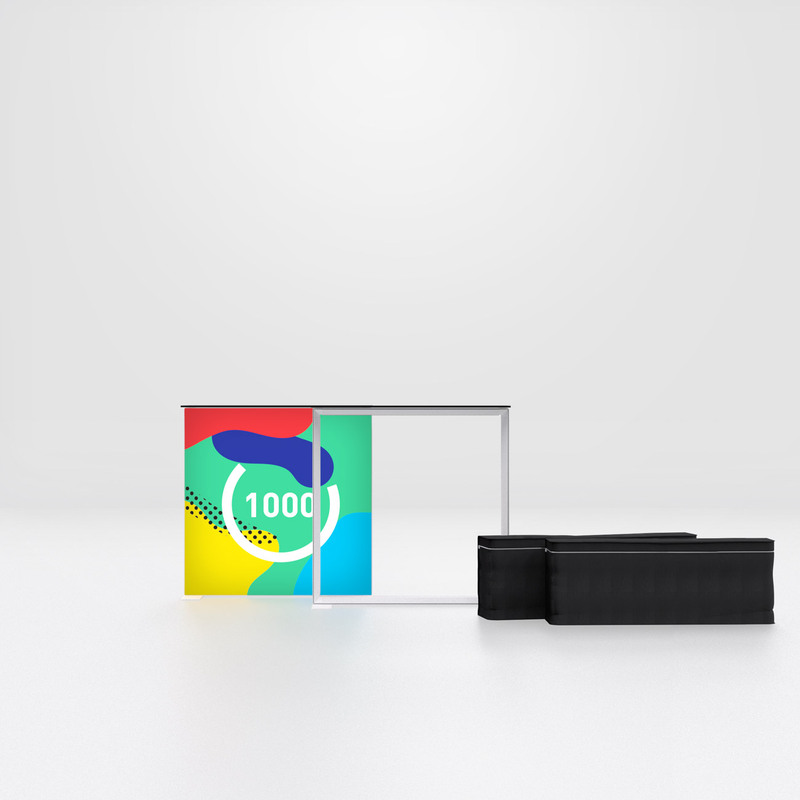 The Pixlip Go 1020 is the most popular frame size. At 2m high, it is always at eye level with customers. 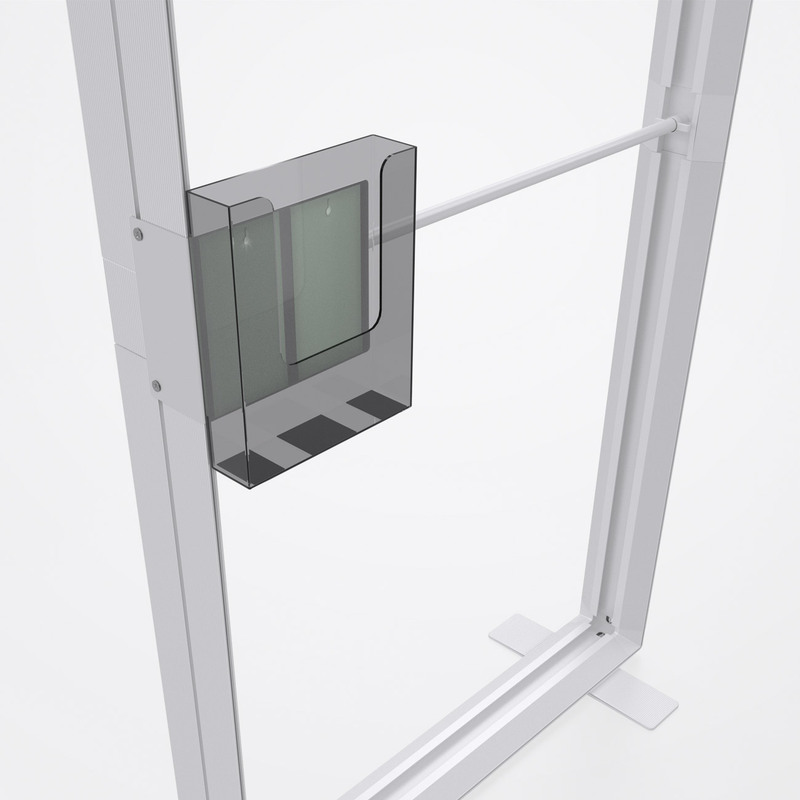 For spaces that are strictly regulated, the 1020 offers the ideal dimensions to comply with the varying requirements and security regulations. Depending on the respective application, the frames is perfect as a stand-alone display or as part of a larger layout. The Pixlip Go 1025 is currently the largest available format and thereby towers over the other frame sizes. In exhibitions, it stands out from neighbouring displays and offers the potential for large-area designs. Because of its height, it interrupts the visual routine of observers and is sure to draw attention even from afar. A perfect addition to Pixlip Go frames, banner holders give the frames an extra boost in catching customer’s attention in large and busy areas such as airports. 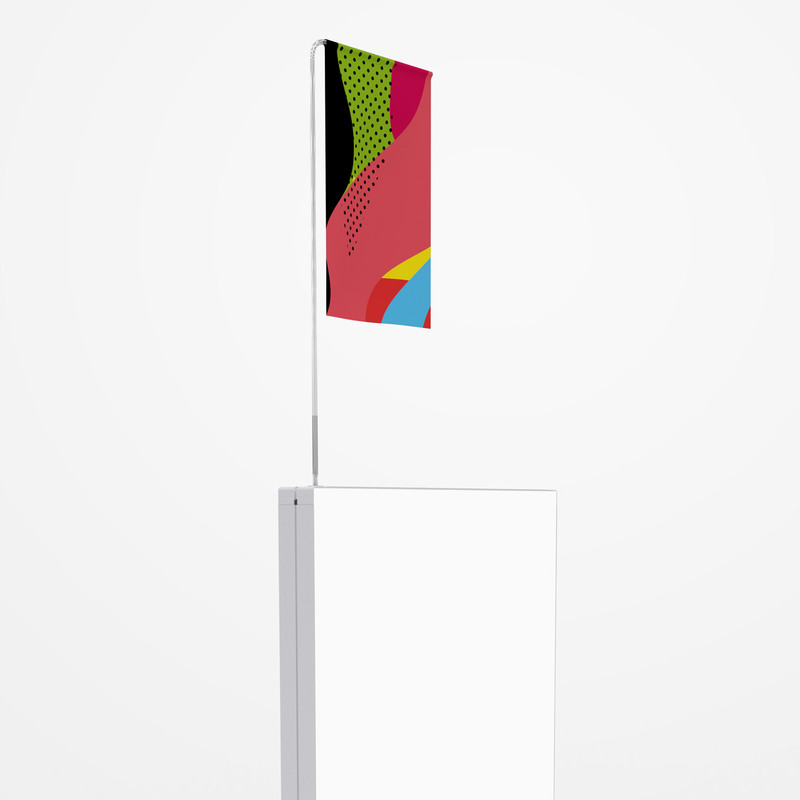 The banner holders supplied are easily covered with the sheer banner material and secured in the upper groove. The Pixlip Go cable clip serves as a simple and rapid assembly solution for various display purposes. 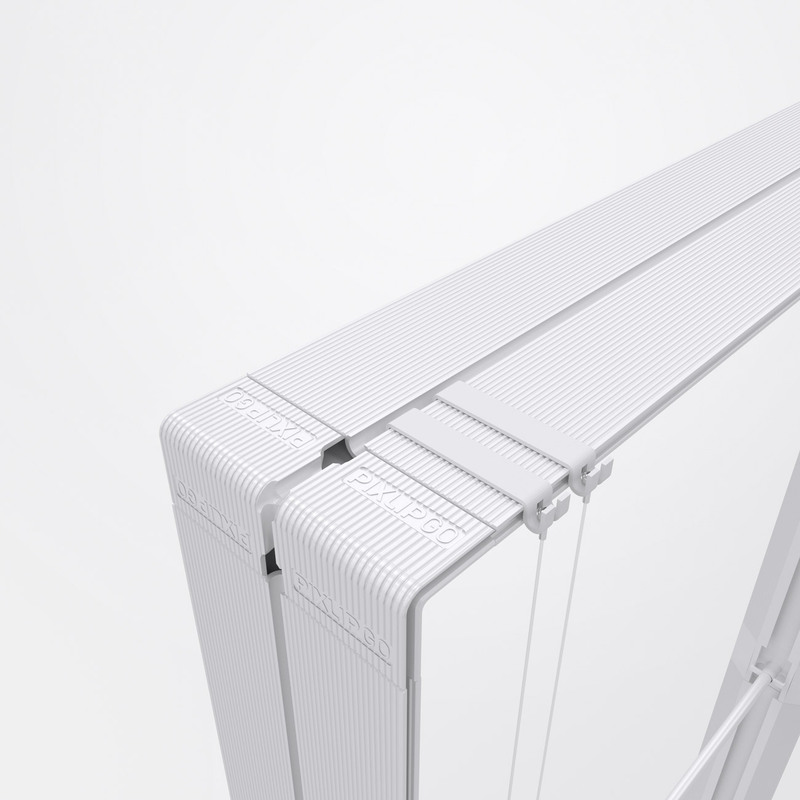 Equipped with the transparent and multi-functional carrying cables, it offers a flexible anchor point in the upper system groove, in order to hang products or display surfaces in front of the frame. 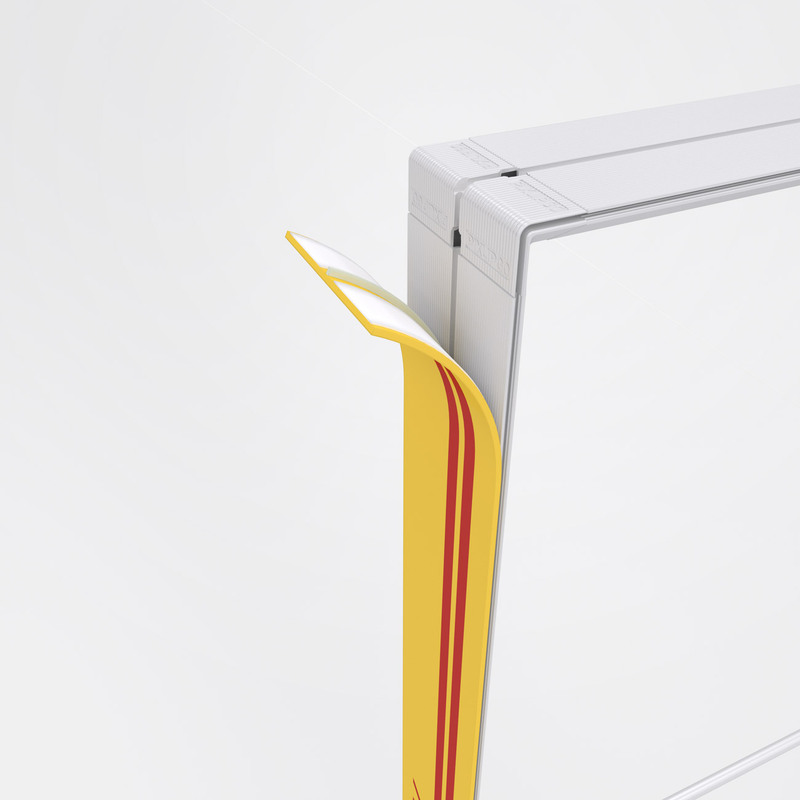 The Pixlip Go brochure stand offers a flexible display surface for brochures, catalogues and other media. It consists of a brochure box and the L shaped carrier plate with a rail which are connected and then slid right or left of the frame. The brochure stand must be further screwed to fix its positioning. 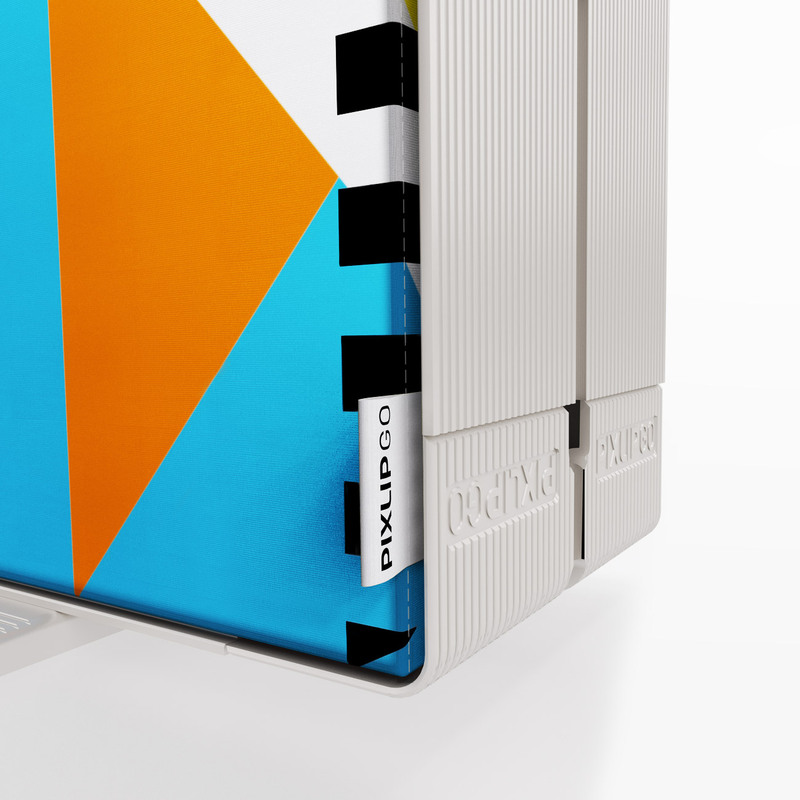 The Pixlip Go side label allows to further customize the profile sides of the frames. The plastic protection are simply removed from the adhesive surface and then placed as desired. The otherwise not utilised area now ensures an optimal side recognition value and is perfect for branding purposes. Watch how easily you can get Pixlip up and running! Pixlip is the perfect modular solution for your marketing activities!